Mr Cream Tea Crazy and I are away from home on a little sojourn in the Cairngorms. We're indulging in a little bit of whisky, lots of country walks, and of course, our favourite pastime! 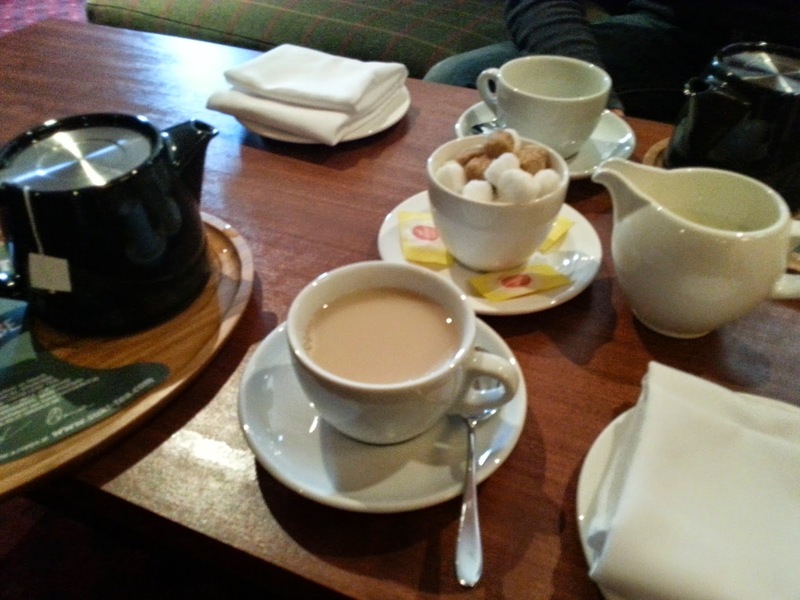 We wanted afternoon tea at the Tigh na Sgaith hotel, which boasts a freshly baked-to-order service, but we hadn't booked in advance, and so we weren't allowed. Still, we'll know for next time we're here! 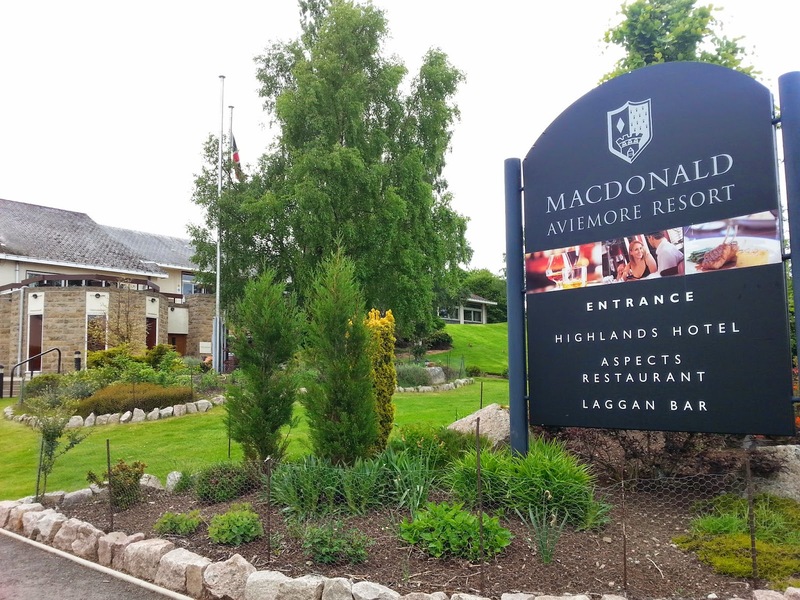 So, a quick Google search led us to the four star MacDonald Highland Hotel in Aviemore, where an Afternoon Tea was available for £18. On arrival, we were led to the Laggan Bar, which was a dark area decorated with 'contemporary' art and modern furnishings. The sofas were very soft and squishy and we sank into them quickly, but there was absolutely no atmosphere or ambience. It was cold and impersonal - we could have been on a ferry. 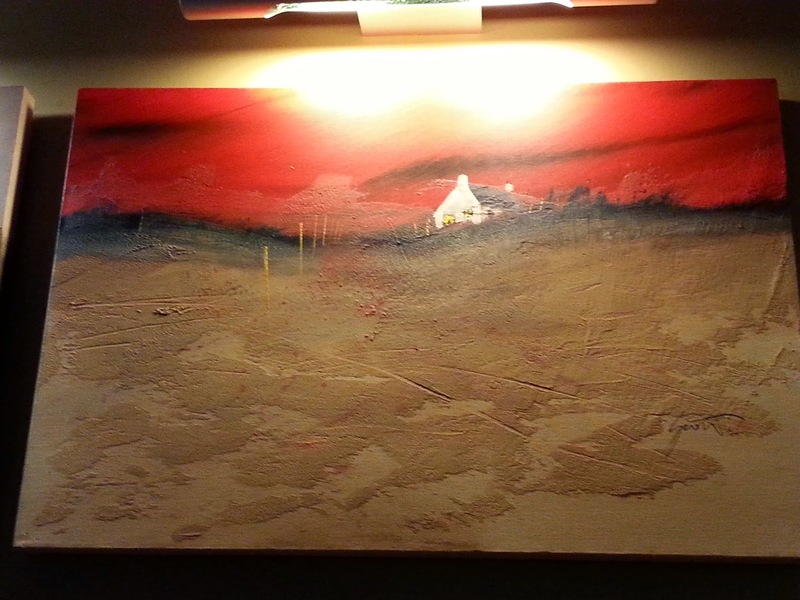 The paintings around the room looked like horror movie posters. The waitress looked at me blankly when I asked if there was a choice of teas, but the menu assured me there was - a rather good selection actually, of Clipper teas. The tea arrived quickly, on a fancy little wooden tray. Unfortunately, the teapots were ceramic stoneware, and the tea was in bags, not loose. In no time at all, a huge cake stand was brought out, with what looked like enough food for four people! There were at least twenty finger sandwiches, with the classic fillings of cheese and pickle, ham and mustard, egg mayonnaise and cress, and salmon and cream cheese. Luckily for me, Mr CTC can't stand salmon or egg sandwiches, so we played Jack Spratt and his wife and he ate all the ham and cheese ones. All were very nice, but the bread did seem a little dry, and we got the distinct impression that the filled cake stand had been sitting around in the kitchen for quite a while. After reminding the waitress that we needed cutlery, we moved on to the scones. Four provided, two fruit and two plain. Not only were they titchy, they were cold, and incredibly short - to the extent that they were almost biscuits! And a teensy-bit burned. Not great. To make matters worse, the cream provided was whipped, not clotted! Sin of sins! 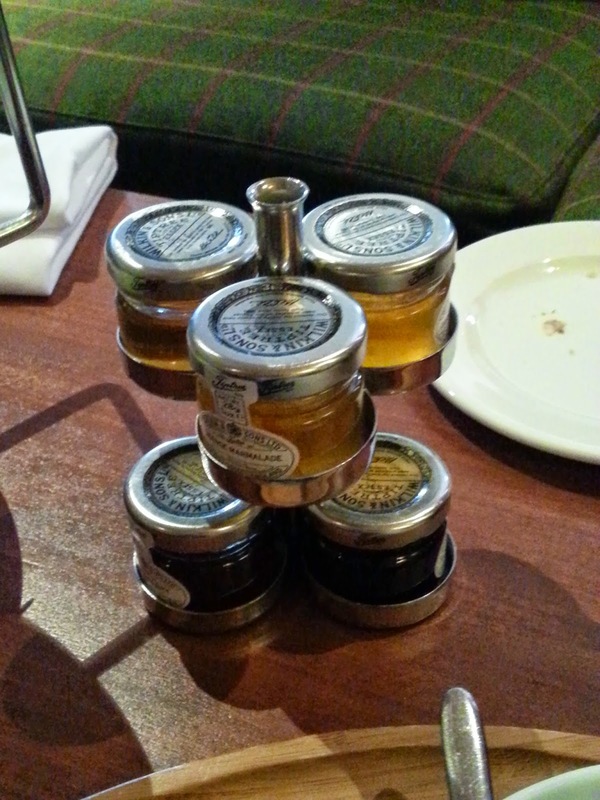 Jam (and honey and marmalade) were offered in little individually-sized jars, on an intriguing little stand. There was a very obvious mousse theme to the selection of little cakes offered. Well, more like desserts, not cakes. The middle tier of the cake stand held four slices of passion-fruit mousse cake, two wedges of strawberry mousse cake, and four individual chocolate mousses! 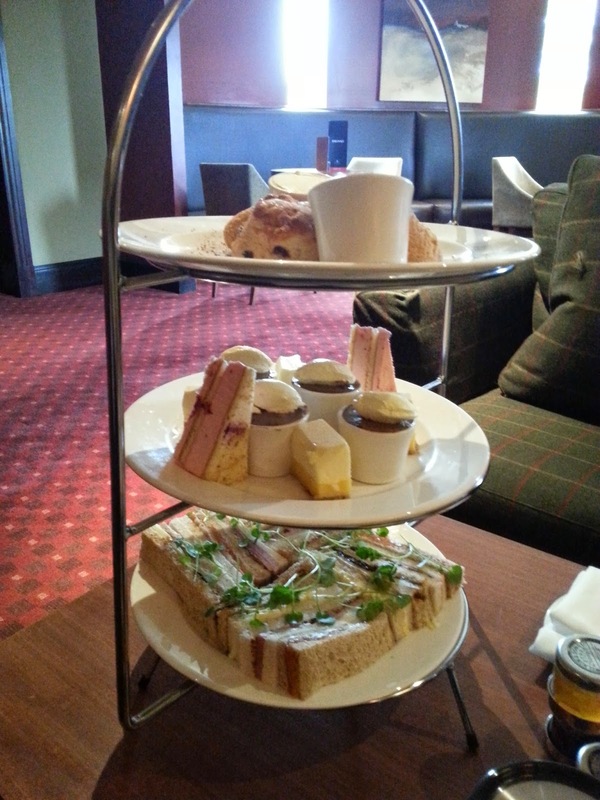 I began to worry that we were going to be charged for four afternoon teas, not two! To be fair, the passion-fruit mousse was delicious, and the chocolate mousse was lovely too, but by that time, we were both feeling rather full and couldn't really appreciate their lightness or flavour! 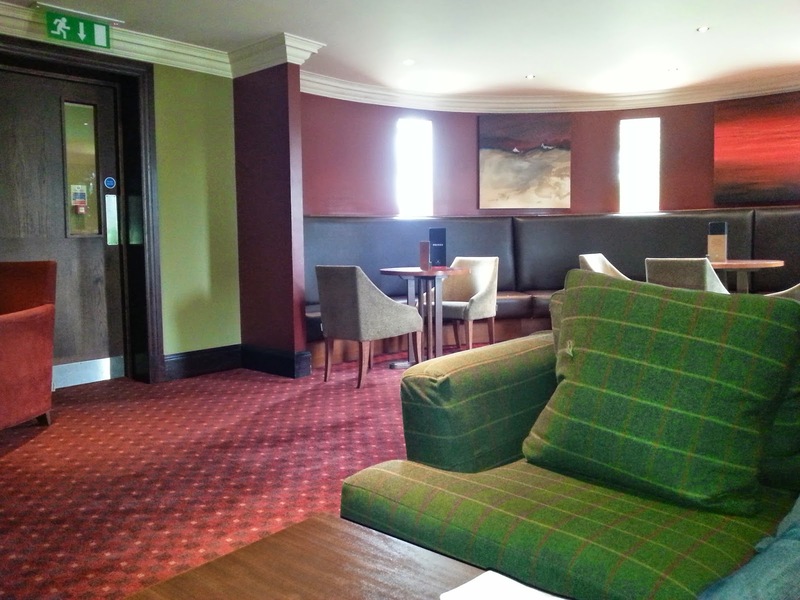 The overwhelming impression at the MacDonald Highland Hotel was not one of four star quality. It really appeared as though customers asking for afternoon tea were a rarity, and perhaps now we see why. The waitress was not familiar with how an afternoon tea works, and described what we would get as 'a big basket of cakes' - not the three tiered cake stand we thankfully did get. The schoolboy errors of whipped cream and offering marmalade for the scones made us think that they were not really sure of what they were doing. This feeling was confirmed when we were undercharged, but we're not complaining about that!